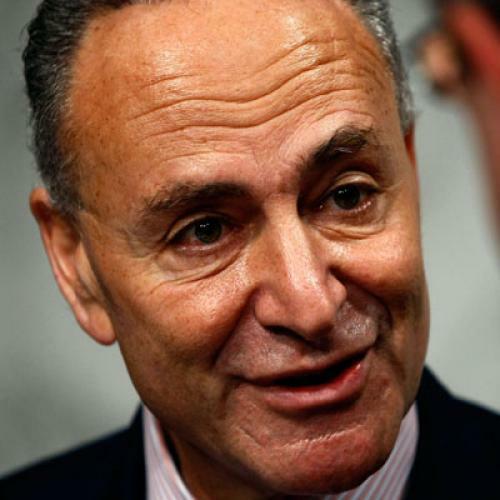 Democrat Charles Schumer has been a vocal advocate for the public insurance option and, more generally, among his party’s most effective public spokesmen on health care. Republican Olympia Snowe, despite considerable pressure from GOP leadership, has worked diligently to find a compromise both she and her Democratic counterparts can support in good faith. For these things, both deserve credit. But during the Finance Committee’s hearings last week, Schumer and Snowe collaborated on a pair of amendments that could push reform in the wrong direction. One would reduce the penalty for people who don't comply with the "individual mandate" to buy health insurance. The other would lower the income threshold at which people can qualify for a "hardship exemption" to the mandate. In plain English, the amendments would significantly weaken the requirement to buy insurance. The argument Schumer and Snowe make is about affordability. It's not fair, they say, to require people to buy insurance if it'd impose too great a burden and/or provide too little protection from financial exposure. They are absolutely right about that. But the proper response is to make health care reform more generous--to provide more subsidies, so that middle-class people, in particular, get more relief from rising insurance premiums. It also helps if you raise the requirements for what insurance must cover, through tighter limits on out-of-pocket expenses. Of course, improving subsidies and reducing individual exposure to medical bills requires raising additional revenue or finding new savings. And neither Schumer nor Snowe has been particularly helpful on that front. Both have sought to reduce the excise tax on relatively generous health plans, which will mean less money rather than more. Snowe has gone farther, insisting that money for health reform come only from within the health care system--thereby limiting the available funds. Schumer, to his credit, did say he'd support a scaled-down version of President Obama's proposal to cap itemized charitable deductions. But my back-of-the-envelope math suggests he'd plow most of that money into reducing the excise tax, so it doesn't leave over much to improve affordability or subsidies. If the broader hardship exemption goes all the way through the process, somewhere between two and four million fewer people could end up without insurance. (Congressional Budget Office says it’s two; MIT economist Jonathan Gruber says it’s four.) Schumer and Snowe vow that their changes would mean more consumer protection. If anything, they would mean less.